Any plumbing issue in your home, despite how small the problem might be, should be considered an emergency. No plumbing issue should be ignored. It is these small problems that accelerate and lead to costly damages. Many people wait for pools of water to appear so that they can call an emergency plumber Melbourne. What many people don’t understand is that even the small leaks in faucets and pipes could accumulate to very huge costs. To avoid such a situation, call in your Emergency plumber Melbourne immediately you notice leaks or even condensation in your home. 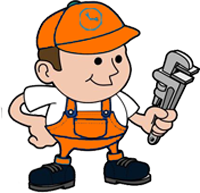 If you are looking for an emergency plumber Melbourne, you are in the right place. Melbourne 24 hour plumbing is the leading expert in all types and complexities of plumbing projects. There are a number of areas that could lead to water problems if leaks are left unattended. Our emergency plumber Melbourne experts are trained to identify leaks and repair them, regardless of size. Whether the leak is on your roof, pipes, or faucet, be sure that our emergency plumber Melbourne will handle it. After a long day at work, the bathroom provides means for relaxation and refreshing. I can’t imagine how stressful it would be getting from work, all tired, only to find that your water is not heating properly, Or waking up early to prepare for work only to get cold water from your shower. To avoid such situations, it is important to have your water heaters installed by an emergency plumber Melbourne. Our emergency plumber Melbourne professionals help you get constant flow of warm water in your home. Water damage does not only arise from burst or leaky pipes. Sometimes, your drains might be clogged, hence leading to flooding. If you notice odours coming from your drains or water not moving down the drains in the normal speed, it is important that you call our emergency plumber Melbourne. Our experts are trained to identify any problem in the drain and sewer lines before they can become bigger problems. Also, we are equipped to unblock clogged drains, so you can get a healthier and safer home. Some of the common problems with our toilets include clogging and toilet overflows. Although sometimes these problems are a simple accumulation of tissue and can be fixed DIY, it is always important to have your emergency plumber Melbourne come in and check where the real issue lies. Our emergency Plumbers Melbourne have what it takes to restore sanity in your home, by identifying reasons for clogs and conduct repair services. Leaky roofs are the leading causes of mould growth in Melbourne homes. Our emergency plumber Melbourne helps repair leaky roofs and roof shingles that have detangled. Also, they help in the cleaning and maintenance of gutters and downspouts. Call us today for emergency plumber Melbourne services.